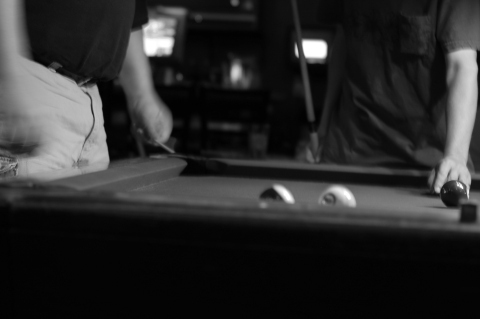 One of the first things I learned is that the most important thing about any shot it is how it impacts the position of the balls on the table, not just pocketing your balls. What if we played every move in our lives like the impacts mattered? Does the impact matter? For me? For my family? For my friends? For my community? For my world? Fascinating. I still stink at pool; but, I’ve learned something for life. Coincidentally, a few days ago, Jeff, KE9V, posted a blog on the demise of hobbies. Although, I’m not as gloomy as he is sometimes, I would tend to agree with most of his points. Hobbies are in decline among my generation and although I’m doing my best to support the statistics by having lots of them, it’s a shame. Hobbies bring people together and offer extensions of wisdom to the rest of life. I say that KE9V’s post was a coincidence because I was recently pondering the value of hobbies in my own life. Now that I have enough photographs, the series begins. I will post a new blog every day or so, featuring a different hobby and one of the greatest lessons I’ve learned from that activity. Will the real MV Island please stand up? Again, I saw a status message, this time on AIM (AOL Instant Messenger) of someone whose geography did not match mine. “MV Island,” it said. “Why would they be going to Malyj Vysotskij Island?” I pondered. Ah, it’s Martha’s Vineyard.